Auto-enrolment - stay calm and talk to Clayton & Brewill! 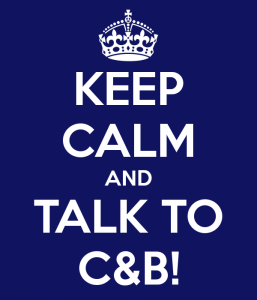 Auto-enrolment - stay calm and talk to Clayton & Brewill! Received a ‘nominate a contact’ letter from the Pension Regulator? If so, there are certain things you should be thinking about in order to get ready for your pension auto-enrolment staging date. Chloe Hughes, head of payroll services at Clayton & Brewill explains. There’s been a lot of coverage of the ‘new’ auto-enrolment requirements recently in the mainstream media, with some panicky articles about the huge effect of these new rules on smaller employers. Employers of nannies and domestic staff have been used as regular examples. Whilst it is good to see that the impact of auto-enrolment is finally filtering out into the real world (as opposed to our normal world of finance and accountancy bulletins!) we would urge employers – both ‘domestic’ and business to stay calm and follow Clayton & Brewill’s top tips to help you meet your auto-enrolment deadlines. Remember too that you can also nominate your payroll company as one of your contacts. This is something we do for many of our clients and it can be a good way of sharing the burden of compliance. Here are my tips to help you prepare. 1. Know your staging date! It’s in the top right hand corner of your letter from the Pension Regulator. If you don’t have a letter, you can find it by clicking here – you’ll just need your payroll number handy. Your existing scheme – if you have one – may be sufficient to meet requirements but it’s important to assess it early. It can take a good few months to find the right scheme – we recommend you allow 12 months if possible. Make sure you know exactly who you employ and their terms of employment. Ensure you have dates of birth, national insurance numbers and full contact details. Auto-enrolment can be quite tricky for older payroll software platforms so we would always recommend running a parallel payroll for the first time. Alternatively, I would be very happy to provide you a quote for taking care of your payroll for you, here at Clayton & Brewill. Now that the subject of workplace pensions is in the media, you may find that your employees already have an understanding of the new rules. And they may be worried about how they will afford the contributions. By talking early, you can help them to understand the level of contributions and plan ahead to manage any reduction in their take home pay. Pension auto-enrolment will cost you money – unfortunately there’s no way around it. Get the figures into your cash flow so you know what you’re dealing with. It isn’t all doom and gloom however. A good workplace pension can act as a valuable incentive – something that is increasingly important as the economy improves and competition for good candidates increases. Can all your employees read the notices? For help and advice on pension auto-enrolment or any payroll matter, please contact Clayton & Brewill on 0115 950 3044 or by email and we’ll be pleased to discuss how we could help you.